I personally own a lot of books related to Catholicism, Church History, etc. Although there are many great books on the market, I believe both of these books will be helpful for any of the following: Someone Wanting To Understand Many Catholic Beliefs In True Light Not Anti-Catholicism Rhetoric, A New Catholic Convert, A Family Member Or Friend Truly Desiring To Have A Better Understanding Of Why Someone They Care About Converted To Catholicism and A Catholic Wanting To Strengthen Their Faith And Better Defend In Love The Catholic Position. There are likely more situations these books would apply to, but I wanted to list just a few. I think both books provide a foundation for standing firm in the Catholic Faith. 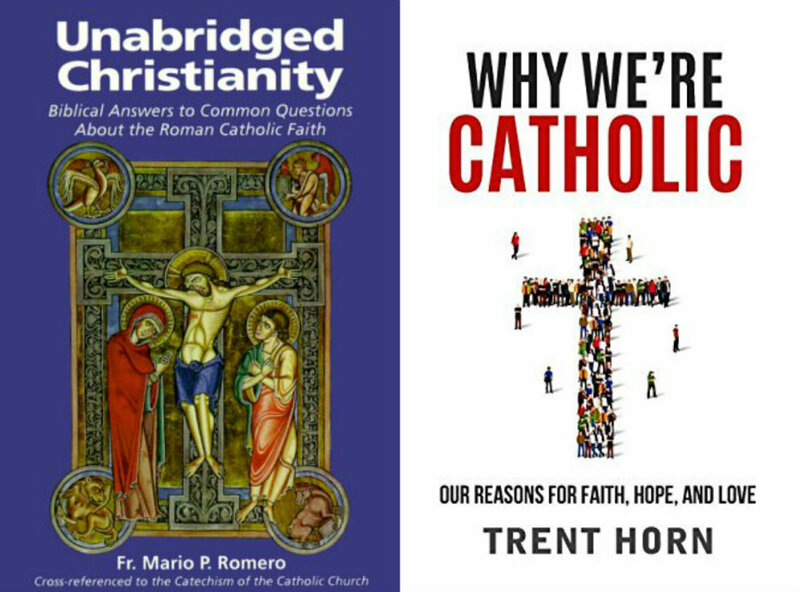 Both books help provide answers to common objections and/or questions about Catholicism. Chapter 1: "What Do You Mean Father Mario Romero?" Chapter 2: What's the Difference and Why the Difference? Chapter 4: Necessary For a Christian to go to Heaven? Chapter 10: "Have You Been Saved?" Chapter 15: Did Mary Have Other Children Besides Jesus? Chapter 20: Do Catholics Worship Statues?